Bhai Aaj To Sunday hai !! Aaj Toh Nahi Banaunga !! "1 aur Sunday and Wahi boring breakfast.. NO WAY..!!" "8 subh subh garam garam breakfast karne ki jagah". AAIYE, KHAIYE, aur KHO JAIYE..!! No need to get afraid of Monday mornings, as we have got a perfect "get ready for Monday" tips for you ready..!! 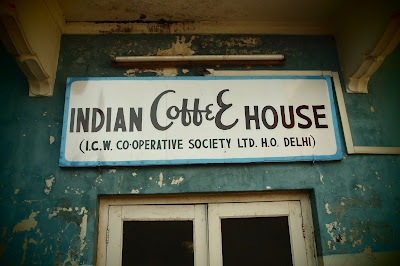 "Old is Gold".One of the oldest cafes in Jaipur city. Same old world rustic charm it has. You feel like you have entered into British era of India. Relive the age when Gandhi's ruled the country, portraits of Indira Gandhi, Jawahar Lal Nehru, Gandhi etc the wired telephone , that ages old seating style and crockery, waiters dressed in white suit with white colored topi taking orders without writing anywhere , there is so much to observe and like about the place. Talk about "hidden gems" in the city, this place is literally hidden away, cozily tucked in an old haveli. Most would pass by this place without it even noticing (Leaky Cauldron, Harry Potter) and that's a mistake they're doing. There is a rumor that this place served as a hideout, a recluse and a meeting point for revolutionaries during the fight for India'a independence and the owner swears by it. I don't know if its true or not but i personally believe that it is true. ???? Even now, as then, the place finds itself occupied by people discussing business, politics and other stuff of the same nature. The place has been kept like it was when it started complete with the same posters and the same photo of Lt Indra Gandhi. 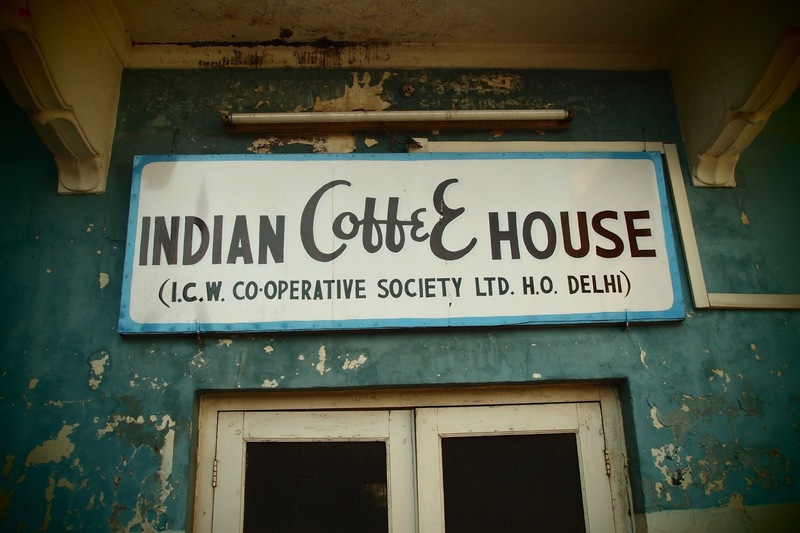 All in all, walk into this café and you'll find yourself in an bygone era. The service is exemplary. Fast and efficient. South Indian food from this place is off the charts. A must visit place. The place looks wonderful with the amazing merchandises. The lovely teapots and tea glasses. It has indoor and an outdoor sitting area. The outside area provides a beautiful panoramic view of the city and Central Park. and seeing National Flag, is simply icing on cake. 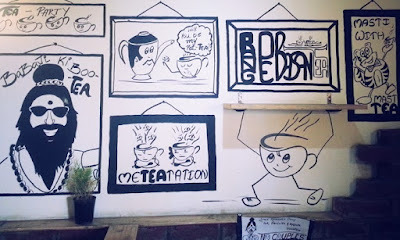 Tapri, is a perfect place for tea lovers. If you are fond of trying new teas you should not risk and trust new amateur tea cafes just get to the professional "Tapri Central". The staff is skilled and has knowledge about teas. So be there and trust them. Moral: Visit this palce any time and you fall in love with this place, view and the food. Lovely place to catch up with friends for tea or enjoy breakfast there. 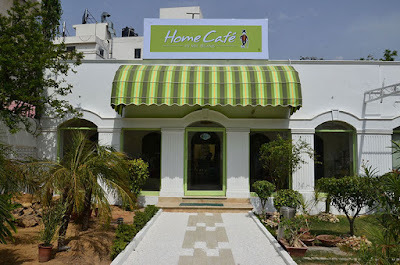 "Home cafe" truly justifies its name by providing a cozy ambiance which adds a homey atmosphere to the place. If you love getting lost in your novel, then I would surely recommend you this place. Grab a novel.. and let this place cast its charm on you. 10/10 on the aura, the vibe of the place. Apart from Italian and Mexican cuisine for breakfast, you can also give a healthy start to your day here with cut fruits and juices. This cafe is what we can say a "classy cafe". 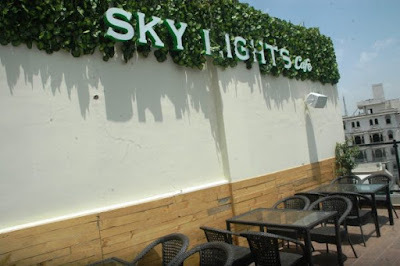 It is a rooftop with both outer and inner seating and the best part being some khatiyas on the common floor so if you really wanna feel like home you literally can. 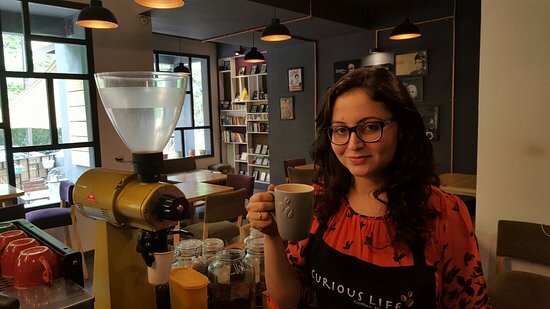 Coming to the menu, they have a "special" breakfast menu "Ahuja ji ka nashta" and "Mumbaiya breakfast" that offers healthy yet tasty dishes like sprouts, oats as well as street food items like vada pav. A cool place to hangout with family and friends. What could be a better start to your day with a cup of tea at Chaisa..?? Small box with a lot of good things. This place is all about breakfast dishes like poha, idli, aloo parantha, vada pao. Accompany it with a cup of hot tea and it is perfect to get you going for the day. The owner actually gave us a virtual tour of how the place came into existence, which I guess was the personal touch provided by a place which I don't find anywhere. Chaisa: "everybody dies but not everybody lives* so live your life to the fullest." This place has such good vibes that you won't feel like going anywhere else once you're here! It offers lip-smacking dishes like eggs, porridge, waffles, sandwiches, salads, tea, juices and shakes. Loved the humbleness of both the staff and the vibes that run in the place. Being a coffeeholic this place gave me two best things. First a really good coffee, like really and second some creative people around! "Anokhi" the most apt name for a unique place like this. Being a gym and fitness freak its my kind of place serving healthy and tasty food made from fresh seasonal organic produce grown locally at their farm. Imagine the unimaginable efforts to actually have a farm to provide fresh organic food for all of us to stay healthy. This doesn't only show their passion for feeding healthy food but also shows how emotional and sensitive they are about what they feed ....Guys a very touching gesture and kudos to team Anokhi for such overwhelming gesture!!! This place has a lovely ambiance that really transports you to a calm and relaxed world wherein you may rejuvenate yourself. 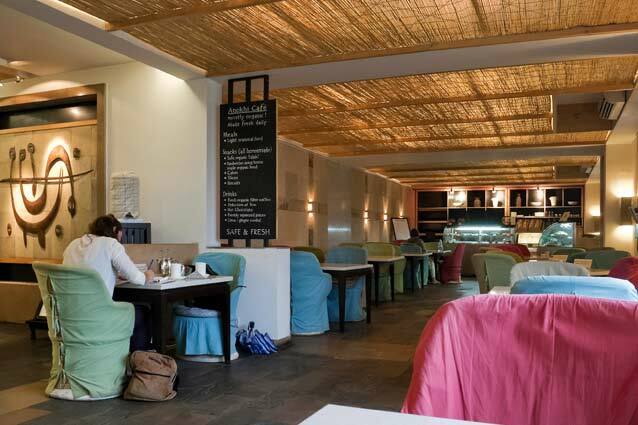 With traditional cane chairs and servers in traditional attire, the cafe has a very distinct yet subtle Rajasthani touch. It's popular among the foreign tourist for not only food but also for Jaipuri print clothes and accessories. 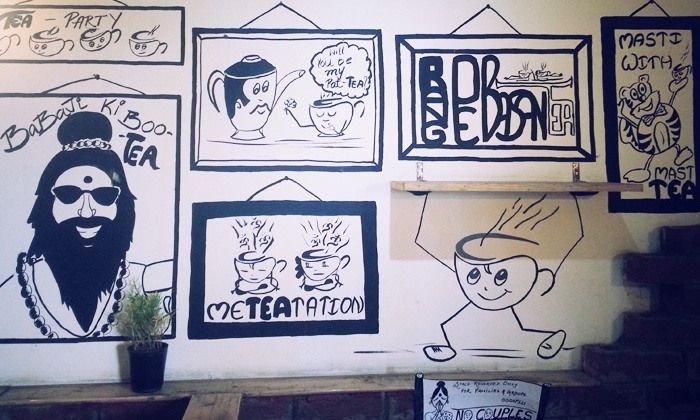 Welcome to "the heaven of tea lovers." Located in the narrow lanes of Raja Park this place might not be that easy to locate for those people who don't know this area too well, but once found, you will fall in love with this place. 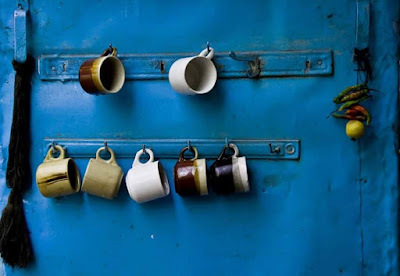 If chai is your first love, then let me tell you have 37 types of chai to choose your favorite, a difficult but a must try task for the morning..!! And for the breakfast, they have a "desi menu"which includes aloo parantha, paneer parantha, upma and so on. You will surely come with out your tummies and heart full..!! Have a nice day and..